Ruby is an original t-shirt, which has many faces – from everyday and casual to elegant, evening. Ruby has a loose cut, which does not hinder movement. The blouse is kept in white and black, which makes it a universal item of clothing. It has a striped pattern. 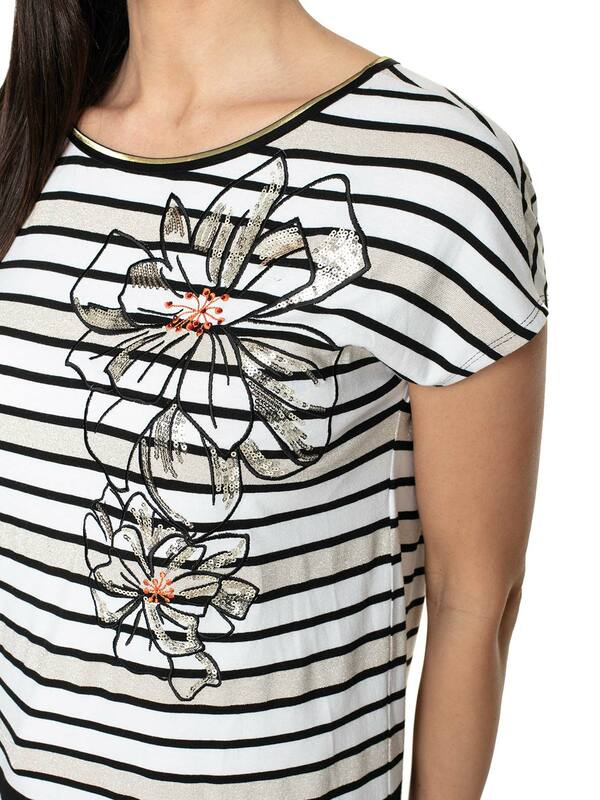 The vertical black-and-white stripes also feature a decorative floral print. A semicircular neckline of the blouse is decorated with black piping. The bottom of the Ruby reaches the hips and is also finished with black stripes. 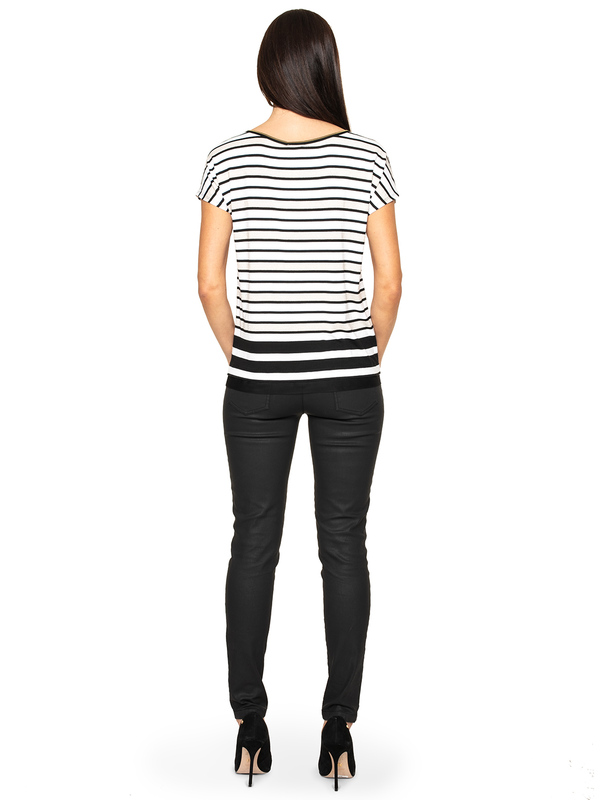 The blouse will create an elegant set with tight black trousers (e.g. leather or fabric cigarillos) and a dark jacket. Join the outfit also with classic black high-heeled shoes. You can get a casual version by combining Ruby with blue jeans or jeggins and sneakers.